My hair has grown a lot since the start of the challenge. 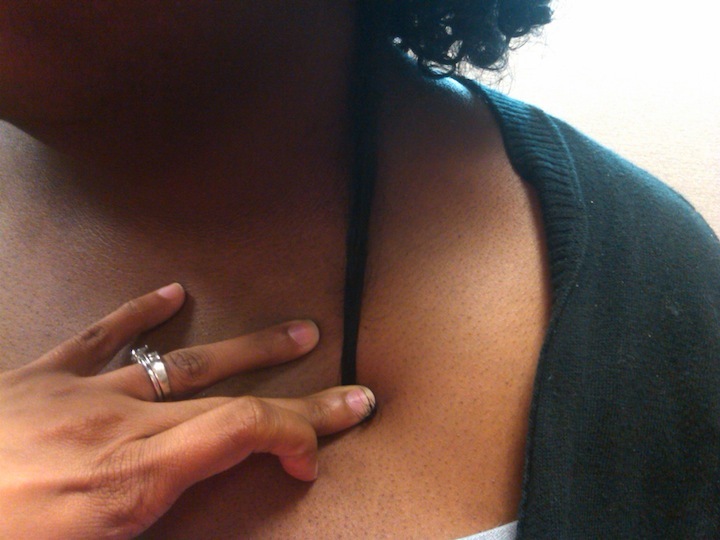 I haven’t measured, but I tell by how much my twists are hanging now that I am retaining length. 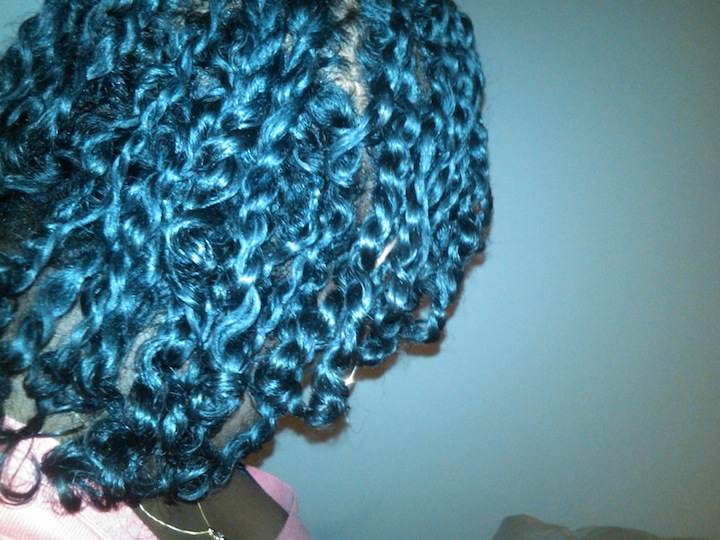 I attribute the growth to following the CG method and finger detangling. I will continue to follow the CG Method, since I have noticed a marked difference since I started in April and I’m glad I purchased the handbook :). I plan on following the CG Method, but will try to incorporate pre-pooing into my regimen. I’ve been slacking lately, but will start back up with doing henna treatment, but roots only. Anyone else notice it’s easier to do Henna treatments during the cooler months? Since my hair is a lot longer now, I’m not looking forward to sitting under the dryer, but it must be done! My edges seemed to have stopped growing/filling in, so I will resume applying castor oil to my edges only and use the CG Method for rest of my hair. If anyone has any tips for a CG Friendly hair growth aid, I would appreciate the assistance! 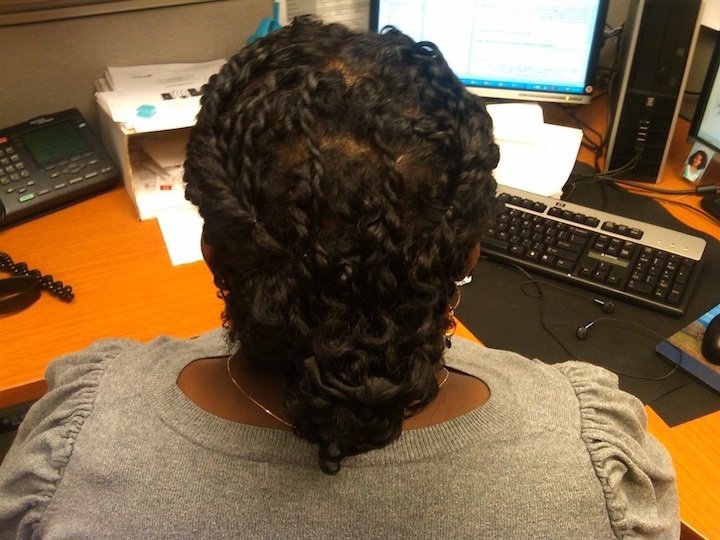 I’ve started to do some protective styling, but mostly I will continue to do wash and gos during the summer and I don’t want to manipulate my hair too much. As far as the diet, I lost 8 pounds in May! Yea! I think I was over-thinking too much last month, but as soon as I stopped weighing myself constantly and focused on the diet and exercise, the weight came off. Health-wise, I will be maintaining my current exercise routine and diet. Your hair is beautiful!!! 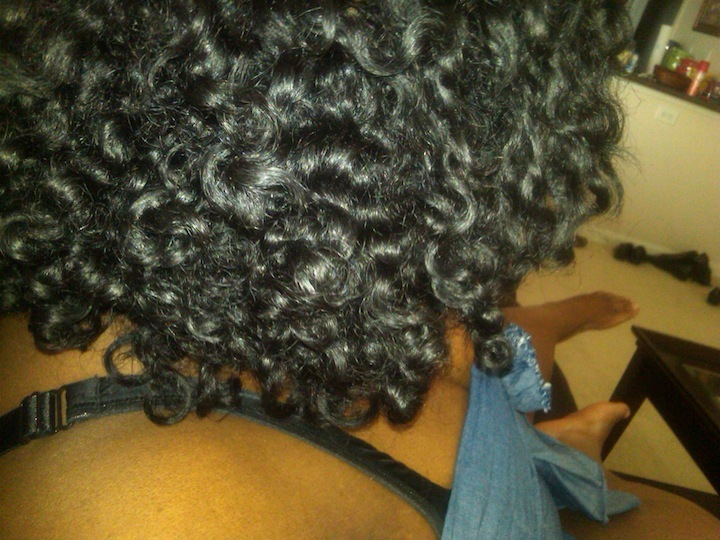 The CG method is amazing!!. Congratulations on your weight loss.